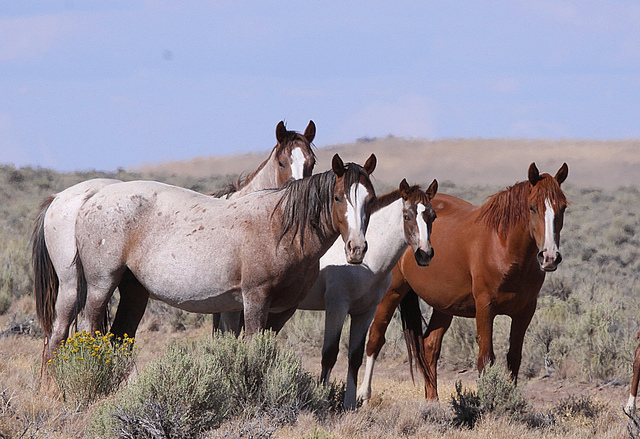 I find what the BLM has to say, on their internet connections, interesting at best; although, not of any science nor rangelands management paradigms, nor ideologies to further either the enhancement of our ecological zones out there, or for that matter – of or for horses’ health. Let’s break the following statements down, and check for accuracy. . .
Keeping in mind the wild horses within States across the United States, are governed by the laws of the Wild Horse and Burro Act, and designated as part of the overall landscape of Public and Federal Lands. Yes, the HMA’s are simply originated by the BLM, via policy and statements placed within the WH&B Act were not Ratified what so ever by Congress. 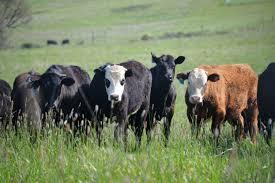 . . and not a part of the law, among other policy arrangements the BLM or Forestry have included, but never Ratified. I find what the BLM has to say, on their internet connections, interesting. Let’s break the following statements down, and check for accuracy. . . The Bureau of Land Management (BLM) boilerplate statement on all of their internet pages, shows a $75 billion supposed wind-fall amount beneficial to taxpayers, or what we are supposed to think anyway – until we search for confirmation, then yet another lie brought into light, and the travesty of their socio-economics steps into daylight, and we learn more of how the BLM scurs, tosses up in the air, and does their addition, certainly in an irregular or odd process, not of truth, but rather, of total fabrication. “BLM Oregon/Washington manages 18 wild horse and burro herd management areas on nearly 3 million acres. The combined appropriate management level for all HMAs in the state is 2,715 animals. So, what we discover first, is that the entire state of Oregon, so they say, can only handle 2,715 wild horses. There is no science data to establish this particular AML. But there is science data to establish the needs for wild horses (as both seed carriers for grasslands, as well as ridding the high-deserts and lower valleys of grasses that remain simply fuel for fires). We do find questionable the numbers, once again BLM numbers seem to strive toward more questionable conduct than their answers can provide for clarification, with no science to fulfill the roundups at all, and yet an over-abundant amount of cattle within the state tremendous, in 2016 for example 640,000 Cattle/Calf Crop Measured in Head (i.e. per USDA Statistics-by State) . . . The Oregon State AG Overview shows the cattle population (combined) in January 2017, to be 1,990,000, which does not include cattle leased onto Public Lands (which is illegal by the way i.e. sub-leasing federal lands). . . The BLM believes when the number of wild horses’ go beyond 2,715 (from their AML which is not based on any science, data gathering, effect versus environmental situations, or any range management ideologies or paradigms what so ever) that there exist too many horses on Oregon’s “18 wild horse and burro herd management areas on nearly 3 million acres” . . . So, we have 1,990,000 (i.e. again Jan. 2017 stats and does not include the illegal and corrupt market of sub-leasing of Public Lands to friends and out-of-state ranchers by the Welfare Ranching community) cattle in Oregon, and in accord with 2,715 (per AML at BLM) wild horses that are supposedly eating themselves out of their own health (???????? Although the photos of all of the wild horses gathered, they appear extremely healthy) . . . I suggest there exist too many cattle, which destroys our Public Lands as well as Forestry Lands, and there are simply not enough wild horses on neither. The illegitimacy of the BLM’s AML of 2,715 wild horses only, and a means or excuse to round up several thousands more over the years, remains quite extraordinary, totally corrupt, and one has got to wonder, in particular the taxpayer public, just what in the hell is going on here. Is this a good example of what is going on over the entire Public Lands and Forestry Lands Environmental Landscape? We do know, acknowledged through good science, good data gathering as well as simplistic observation, or as a Federal Court Judge caught BLM Justice Dept. and BLM Employees in lies about cattle versus wild horses (i.e. one of many good examples — Stanton vs U.S. Forestry, Murderer’s Creek, Oregon and request the Marine Sciences Agency to investigate, and found cattle destroying the streams and creeks in the area, and not the wild horses) showed that cattle alone remains responsible for millions of acres of environmental damage. Right now, when ecological zones are needed, and we need to enhance, and not destroy our environment, for even our own species to survive on this planet. . . We need science as well as good range management ethics and paradigms that enhance our ecology, not destroy for a whim or two that is centered around marginal profit base mind sets . . .
Ralph Nader’s Animal Envy is a stimulating, wide-ranging, and forward-looking book. By using a digitally converted language that is understandable across species, diverse nonhuman animals—from insects to whales—are able to communicate with one another and also with human animals. In an ensuing global assembly called ‘The Great Talkout,’ a panoply of animals not only tells us who they really are and what they want and need to flourish, but also shows how they can be of great benefit to us—a win-win for all. Along the way we meet many fascinating beings, including the insect triad—the Earthworm, the Monarch Butterfly, and the Honey Bee—who plea for the end of pesticides. Using results from research on the cognitive and emotional lives of animals, Mr. Nader weaves in plausible stories of what we can learn about their agenda if we take the time to talk with and listen carefully to them. All in all, Animal Envy is a highly original and visionary book that made me think deeply about human-animal relationships and how they must change as other animals plea for less violence and appeal for compassionate coexistence in the Anthropocene, an epoch that truly has become the rage of humanity.